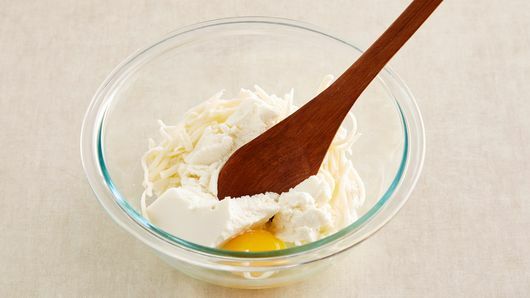 In medium bowl, mix ricotta cheese, egg and 3/4 cup of the mozzarella cheese. Spray 13x9-inch baking dish with cooking spray. 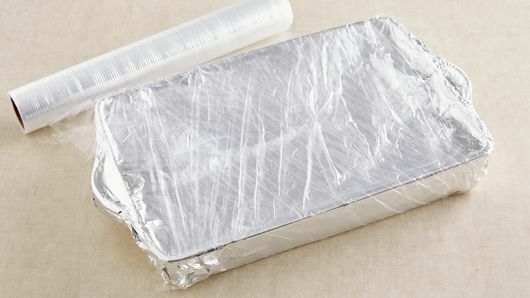 Use a 13x9-inch foil pan to make and take the frozen casserole to someone. Remember to include the heating directions. Use nonstick foil to cover casserole for convenience. Garnish with chopped fresh Italian (flat-leaf) or regular parsley just before serving. Sure, we love a good pasta dinner with noodles smothered in sauce, who doesn’t? But when the noodles and sauce are baked (preferably with lots of cheese on top! 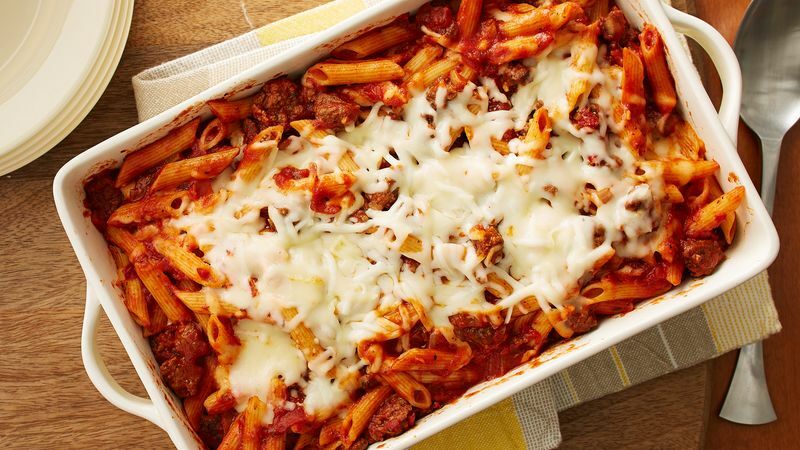 ), your pasta dish turns into a comfort food-worthy casserole. 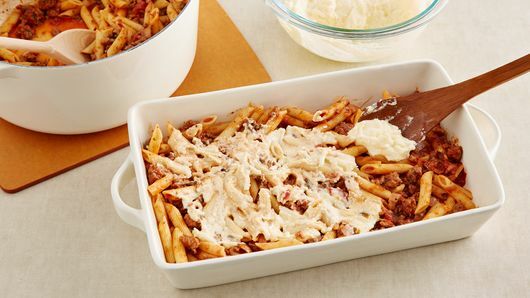 The best part of this baked penne pasta is that it’s freezer-friendly so you can make it and then store it in the freezer to have on hand to gift to a neighbor or friend, or when you’re in a dinnertime pinch. You could also divide the recipe into two 8x8 or 9x9 square dishes, and make one for dinner and freeze the other for later. We like our penne pasta with lots of sauce and even more cheese. How about you? 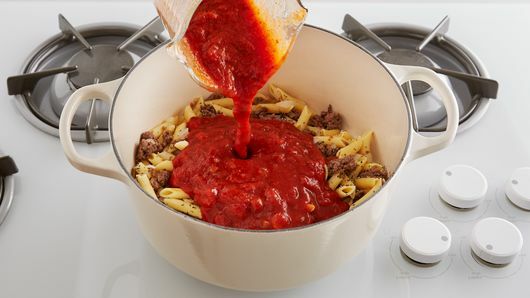 Do you prefer traditional Italian pasta using penne noodles and tomato sauce or do you like to take it up a notch and turn it into a spin on comfort food?